The Mozilla release in January of this year opened up a new era for the hacker culture of the Internet. Bruce Perens, myself, and other interested parties followed up on that breakthrough by launching the Open Source campaign. This was a sustained effort to argue for "free software" on pragmatic grounds of reliability, cost, and strategic business risk. As part of this effort, Bruce Perens applied to register "Open Source" as a certification mark with a binding legal definition. In this way, he and I believed we could protect the term from abuse both accidental and deliberate. By doing so, we both safeguarded the hacker community's interests and made the Open Source attractive to software producers and consumers as a brand. Ten months later, the Open Source campaign has racked up some truly remarkable successes. It has almost completely turned around the negative image that "free software" had outside the hacker community. Dozens of software producers have sought Open Source certification for new products and software licenses. Major corporations like Netscape, Corel, and IBM have embraced the "Open Source" label and the development model that goes with it. Within the community, we have even been instrumental in resolving the ugly and long-simmering dispute over the Qt library license, ending the GNOME/KDE flamewar and the divisions it produced. These successes make the defense and management of the Open Source trademark a key issue for the whole community. Bruce Perens applied for the mark while president of SPI, remaining the U.S. Government's holder of record. But Bruce and I concluded months ago that it was no longer appropriate for the trademark to be organizationally tied to one single distribution (Debian) of one operating system (Linux). Some time before leaving SPI, Bruce assigned the mark to me. We have now followed up by forming the Open Source Initiative, an unincorporated nonprofit that will seek 501(c)3 status in the state of California as a research and educational association. 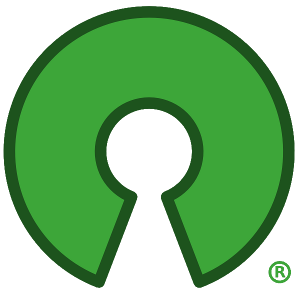 The Open Source Initiative's mission will be to own and defend the Open Source trademark, to manage the www.opensource.org resources, to develop branding programs attractive to software customers and producers, and to advance the cause of open-source software and serve the hacker community in other appropriate ways. The initial Board of Directors of OSI includes Ian Murdock (Secretary), Russ Nelson, Bruce Perens (Treasurer), Eric S. Raymond (President), Tim Sailer, and Chip Salzenberg. While we have no plans to become a membership association (those are too complicated to run) we are seeking to expand the initial board to be representative of the entire open-source community. Applicants should be senior and respected members of the hacker community with an interest in open-source advocacy. Experience in project leadership or running a successful volunteer organization will be considered a plus. Ability to speak for a sub-community not represented on the existing board will be a plus. We are willing to expand the board to as many as nine or ten members, but will be demanding about qualifications. Applicants should write me at president@opensource.org. Many adventures lie ahead. The hacker community's support of the Open Source campaign to date has been stronger than we initially dared hope; it has been powerful fuel for our efforts and a continuing inspiration to us through the hard work of building credibility in press and corporate circles. We hope that you will give the Open Source Initiative the same support and trust that I and the other individuals in the campaign have so far benefited from. We will always do our utmost to be worthy of that support and trust.